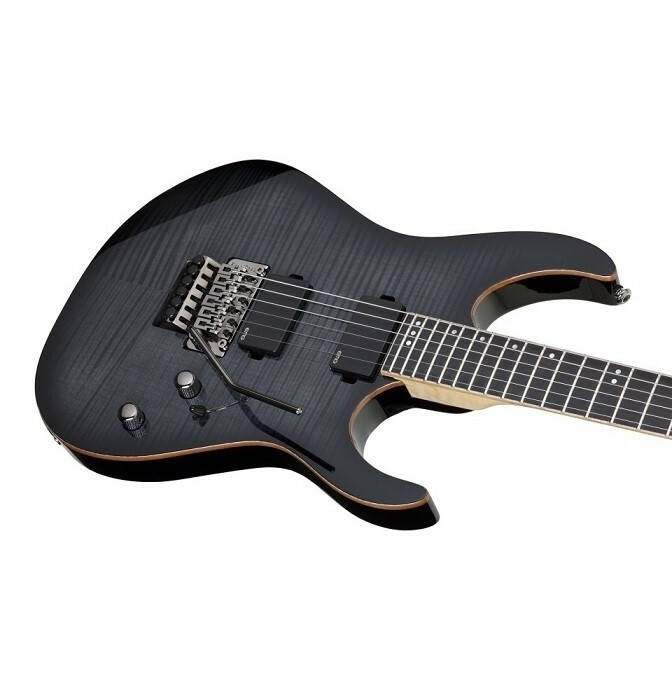 Designed for the progressive player who likes sophisticated aesthetics of Schecter’s six-string Solid Body Banshee FR. The natural body binding, dark ebony fingerboard and black chrome hardware complete the Banshee’s look, making it scream for attention. The compound-radius fingerboard delivers percussive tones and crisp attacks, along with the comfort of a vintage guitar. The Banshee features a Floyd Rose 1000 Series locking tremolo bridge that gives you outstanding vibrato with minimal effort. If you’re into smooth sustain, crying wails and bright, distorted sustain, the Seymour Duncan humbucking tuners deliver without disappointing with their P.A.F.-like humbucking tones. The Banshee’s secret weapon is its tone pot, which transforms the humbuckers into single-coil pickups, increasing the guitar’s twang and cutting output.